È tutto amore. Chi a una sola è fedele, verso l’altre è crudele. While we may be enthralled in by the sublime music of a master and the comic hijinks of a sidekick, there are certain subtle points to ponder in this otherwise explicit opera. Explicit is what most opera goers fixate -1,003 in Italy, in Turkey, 93; but is there anything that the serious student may ponder in this mostly carnal production? Throughout the opera, we are led to believe that Don Giovanni failed in his seduction of Donna Anna. Although his conquests are legendary, his successes in the opera are non existent. Certainly, Don Octavio believed that Anna’s father intervened to preserve her chastity, although judged by Giovanni’s modus operandi, not her innocence. In fact, none the characters of the opera, with the possible exception of Leporello, are led to believe differently. One might realize that something is amiss in the penultimate scene: the unattached Elvira goes to a convent, Leporello seeks a new employer and Zerlina and Masetto proceed to marry, but Anna is insistent that Octavio wait one year before their marriage. We attribute this hesitation on the part of Anna as a direct result of not an attempted seduction, nor the murder of her father, but the sucessful seduction by Giovanni (ma in Ispagna son già mille e quattro?) In the first scene or possibly before the start of the opera, that is, during the overture, the masked Giovanni enters Anna’s parlor and she mistakes him for Octavio. Her desire, when combined with Giovanni’s “gift of gab” results in her succumbing. With this insight, one is obligated to rewatch Anna’s interactions with Octavio and Giovanni from the beginning of the opera. Although Anna wants revenge, there are subtle indications throughout the opera that she has mixed feelings regarding Giovanni and of course, her feelings affect her interactions with Octavio. The quote by Giovanni that began our essay, when carefully analyzed, reveals Don Giovanni’s “either/or” thinking. This insight is not only applicable to his amorous views, but his worldview as well. Certain writers may be tempted to describe Giovanni as being a man antithetical to his age, that is, the Age of Enlightenment. Giovanni’s conquests have one characteristic in common: they are female. Leporello informs us that “these are peasant girls, maidservants, city girls, countesses, baronesses,marchionesses, princesses, women of every rank.” We can conclude that few of these ladies possessed virtues in common with Giovanni. While one may be tempted to state that Giovanni does not possess virtues, this would not be true; for his virtues are not our virtues. After failed seductions and mistaken identities, the Commodore, the stone guest, arrives for dinner. “Pentiti, cangia vita!” the statue tells Giovanni. While it is within the realm of possibility that Giovanni would repent, he is not willing to change his life. 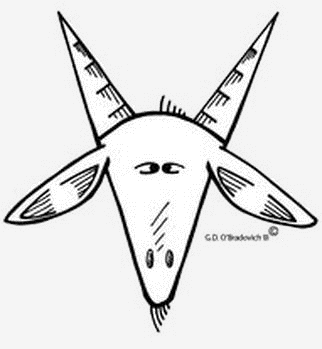 If accepts the first, then he is obligated to accept the second and he refuses to deceive either the Commodore or himself by pretending that he will change, for he knows himself well enough. This “self awareness” of what motives the other characters, varies in degrees, not kinds. Zerlina and Elvira are easily lead astray by Giovanni, while Octavio seems incapable of action independent of Anna’s wants and desires. Leporello complaints about his life from the first scene, but can never leave Giovanni and we believe that Leporello's inability to leave the services of Giovanni is in due, in no small part, to Giovanni’s personality. In his own humble way, Leporello admires Giovanni and perhaps reasons that it would be to be in shadow and to watch and record the conquests, than to no longer a part of his life. After agreeing to have dinner with the Commander, Giovanni says that he is unafraid and we do not believe that this is untrue or postering [“No, vecchio infatuato!”]. Giovanni twice tells Leporello “No” and thrice he responds to the statue at their insistence to repentance. 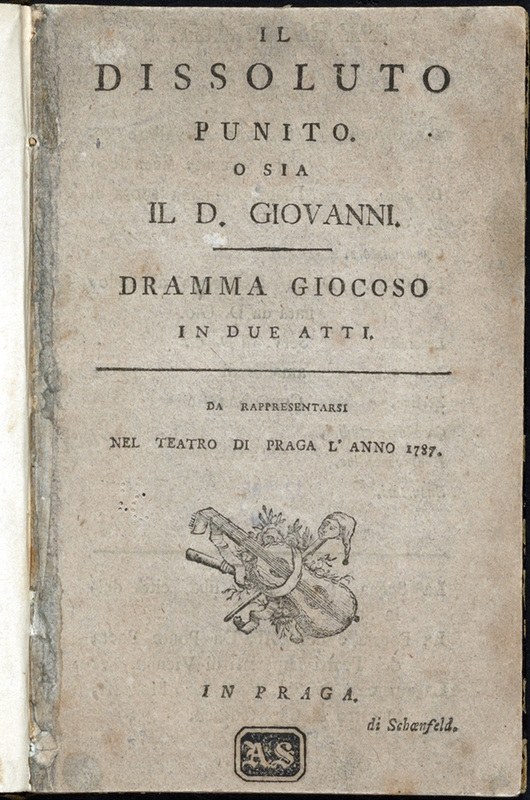 The many loves of Don Giovanni are not the 2,368 names found in Leporello’s book, for these are only hedonistic conquests and we can not help but imagine a different fate for Giovanni. The fortune of noble birth of Giovanni allowed him the opportunity for study and reflection. However, we firmly believe that he wasted this opportunity to reflect upon his future for immediate sensual gratifications, such as eating and dancing. We infer that Giovanni was conversant in several languages, as seductions with an interpreter, although not impossible, seems unlikely. The many loves of Don Giovanni are, in truth, only external manifestations of one love. Plato writes that most philosophers are worthless, but the bad philosophers were corrupted in their youth with sophistry or false philosophy and, perhaps in our example, Epicuren sensuousness. Alas, the great philosopher, Don Giovanni, was not destined to be.